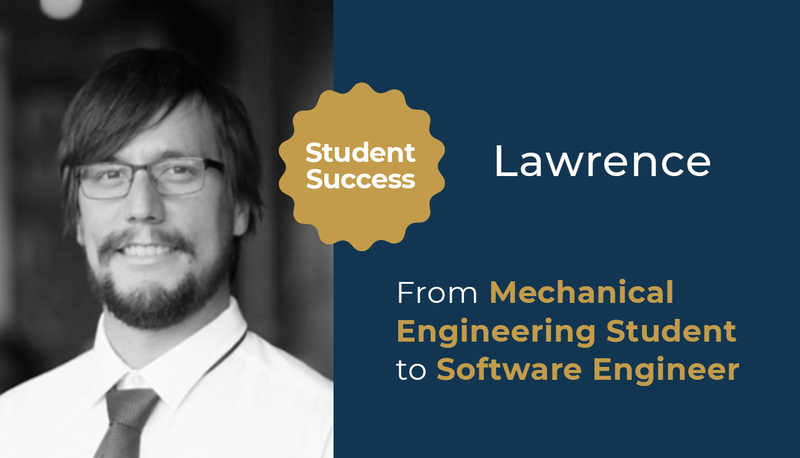 After completing his university degree, Lawrence wanted to move past mechanical engineering and towards learning how to write better software to solve real-world problems. He says, “HyperionDev, with their excellent guidance and structure, resulted in my learning, in a few months, what would have taken more than a year on my own.” He is now a Software Engineer at Andile Solutions. Tell us about yourself and your current occupation. Hi there, my name is Lawrence Mardon. I’m 24 and I live in Centurion, Pretoria. During the course of my Software Engineering bootcamp with HyperionDev, I was the Co-Founder and Director of LJ Maintenance Masters, a renovation and maintenance company. At the moment, I am a software engineer at Andile Solutions. During my final year of mechanical engineering, I had to write an algorithm in Python, which could detect bearing faults using sound signal analysis of sound waves. Complicated stuff! After being exposed to coding for the first time, my passion and interest in Software Engineering developed rapidly. I enrolled on a course at HyperionDev to learn how to write better software. I also wanted to understand what software engineering entails. I can definitely see myself moving beyond pure mechanical engineering toward solving real-world problems using innovative and creative software engineering solutions. Absolutely. Software Engineering can be overwhelming with the different frameworks, libraries, technologies, jargon, etc. Even though I was exposed to programming during my studies, I still found it a formidable field. However, HyperionDev, with their excellent guidance and structure, resulted in my learning, in a few months, what would have taken more than a year on my own. I now feel totally ready and confident to enter the Software Engineering field. HyperionDev’s career guidance also helped me a lot with finding a job. Tell us about your experience of the 1:1 mentorship. Studying Software Engineering long-distance can be very lonely, but it helps to know that when you’re really stuck with a problem someone will help you. What parts of the course did you enjoy the most? I loved the machine learning part of the course. I’ve always enjoyed working with data, so learning new data processing tools and writing my own k-means algorithm was really fun. The K-means algorithm is one of the last tasks on the Data Science section of the bootcamp. It’s pretty technical, but it’s an algorithm commonly used for cluster analysis in data mining. What advice would you give to people wanting to shift careers to become developers? How to Become an Expert Software Engineer (and Get Any Job You Want): A Programmer’s Guide to the Secret Art of Free and Open Source Software Development by Marcus Tomlinson. Find out more about HyperionDev’s Software Engineering course and start your free trial today. Is Paying for a Coding Bootcamp Worth It?